Monday started a new week and memories of Amy's fairytale wedding at Walt Disney World. On Tuesday, the team posted our favorite ideas for off-property dining. 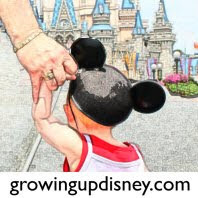 On Wednesday, DisneyDad gave us a Photo Flashback to 1973 and a picture from His and DisneyMom's honeymoon marking 37 years of Disney trips together. On Thursday, Amy gave us some great Disney gift ideas, perfect for more than just Christmas. On Friday, Ridge took us to the Animal Kingdom and had lunch at Yak & Yeti.